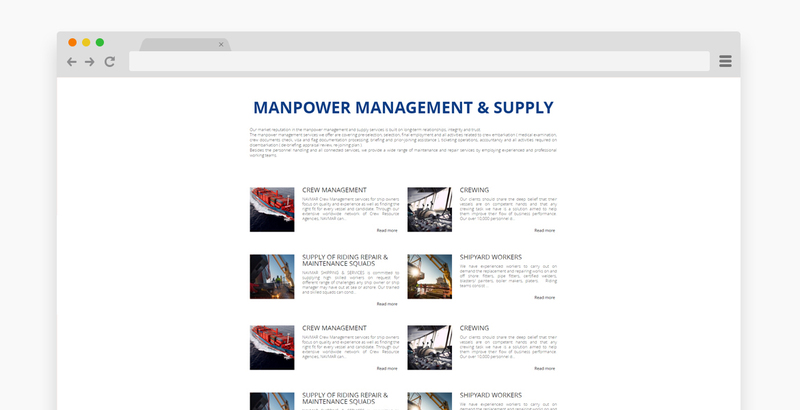 As a manpower management & supply provider, they cater the needs of international clients in terms of crewing, riding repair and maintenance squads, oil and gas, travel arrangements and more. 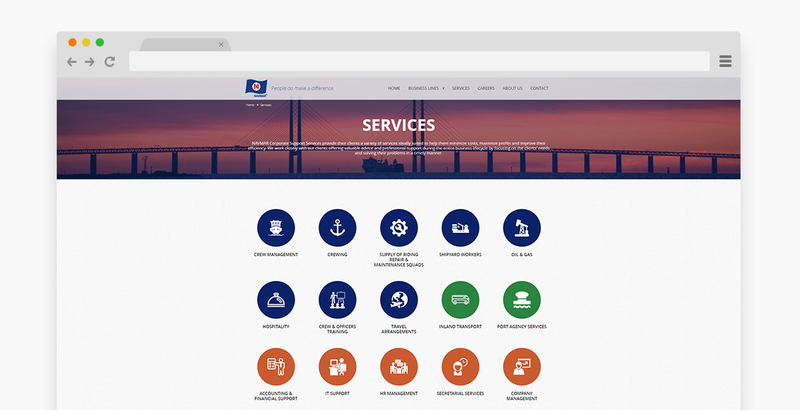 As a transportation provider, they are in charge with a wide range of inland transports and port agency services. As a corporate management provider, they respond to outsourcing requests for various day-to-day administrative operations. 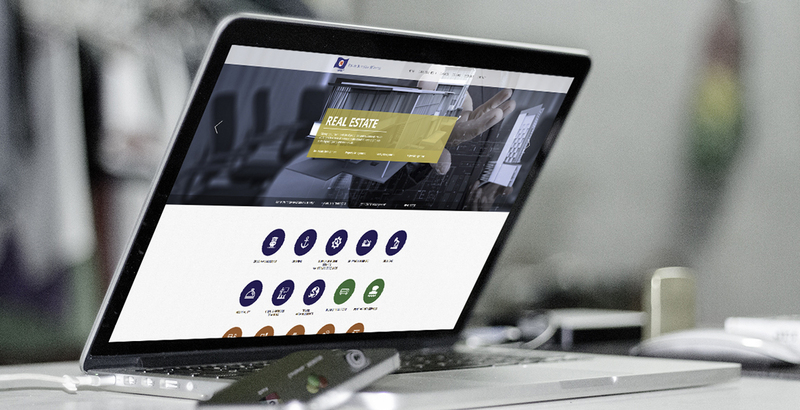 And as a real estate provider, they successfully deal with portfolios of properties and investments in the estate sector.Here’s how we helped Navmar effectively present and advertise four different businesses in one website. 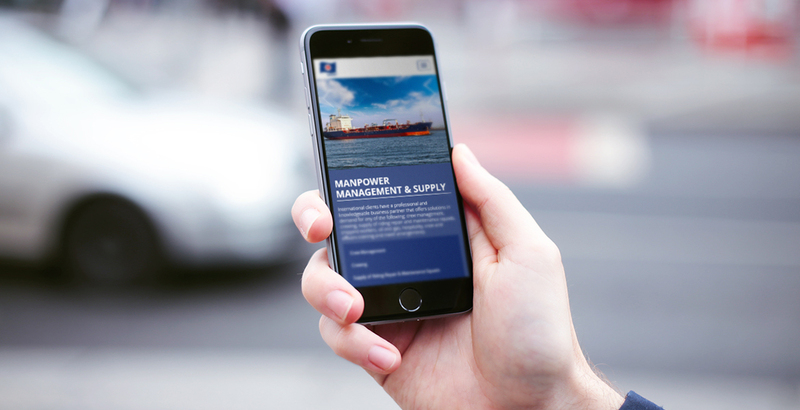 With so many different activity sectors, Navmar needed a complex and detailed website that will not suffocate its visitors but rather allow them to easily identify and approach any desired service. Setting a flawless information architecture plan was just one of the challenges that this project came with. 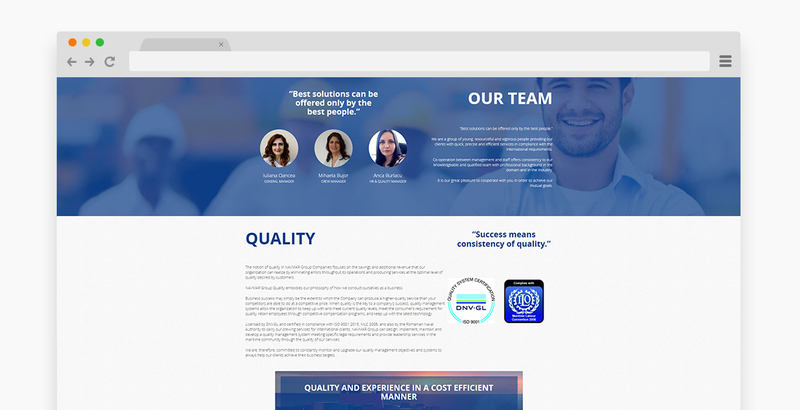 Offering a design unity in the presentation of four different companies in one website was another demanding condition that we successfully accomplished. Getting to know the specific profile of each and every company was a first step in determining common grounds and the best approach to showcasing them together. Our team decided to create a strong visual identity for each company, from the general presentation to all the available contact forms. Our developers and designers worked hand in hand throughout the entire process. 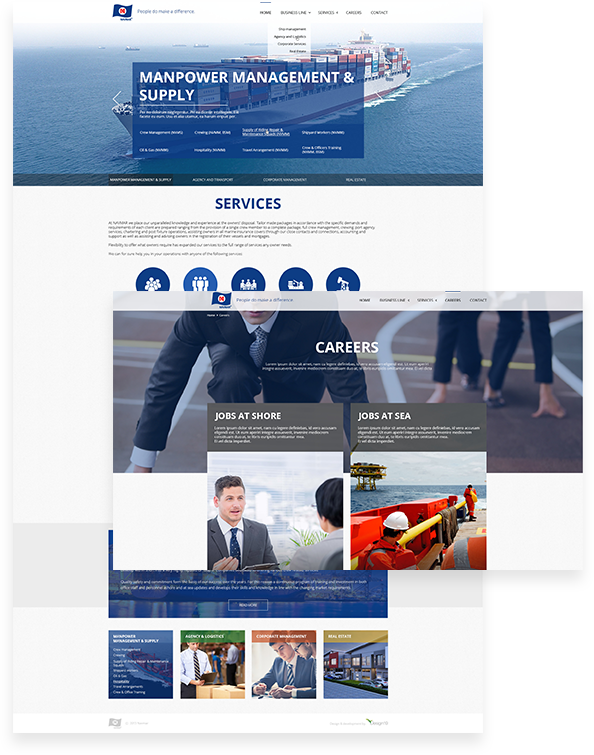 From crafting a specific content inventory and a detailed sitemap, to showcase the four companies in one general menu, we moved on to assigning specific colors for every business line.In the end, wherever visitors look on the Navmar website, it is always crystal-clear what business line they are accessing. The same goes for the actual contact page, where selecting the desired company is easy and intuitive. 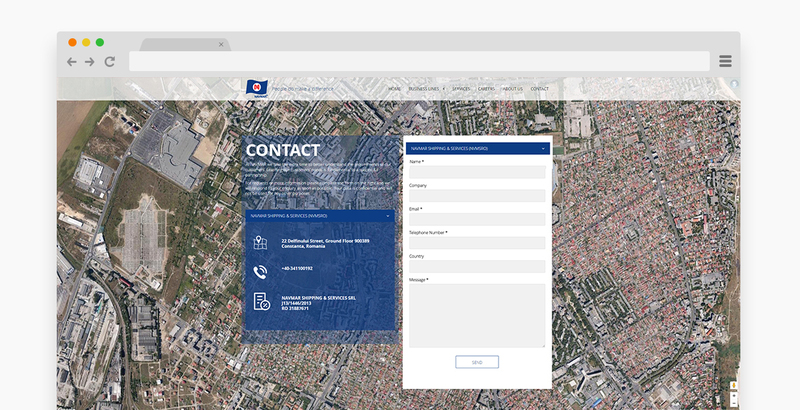 Within a few clicks, the contact form itself and the contact information change according to the users’ selection. 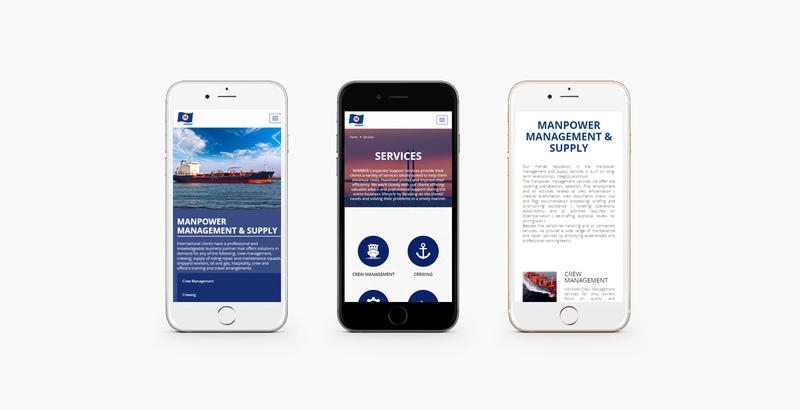 By juggling with colors and the right information architecture, Navmar website features a ton of information while still looking fresh and airy. 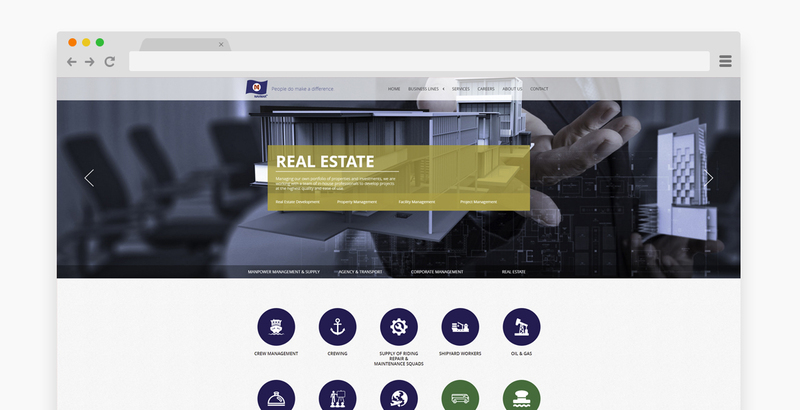 With this particular project, our successfully achieved goal was to implement a design impressive through simplicity, without inflicting with the smooth functioning of the platform at all. 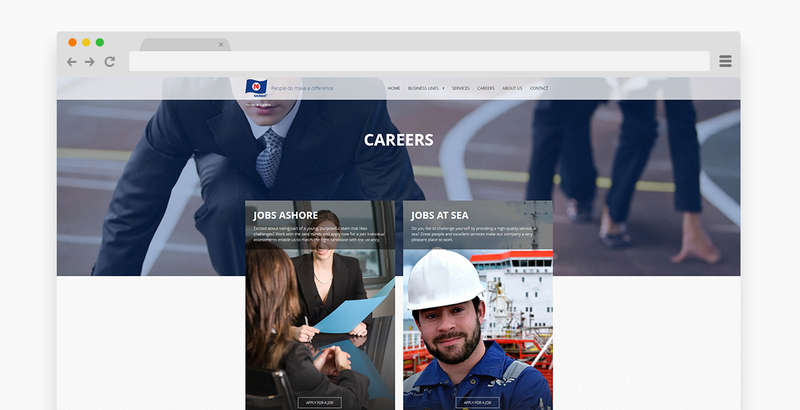 Do you like our Navmar project?